Yesterday Ray Call, Emily Gryder, Vicente Salinas and I took Jesus to the streets in City Heights. We paired up and walked the streets. As we walked along we prayed for the city, and we invited people to our English class. We offer English to the many Spanish speakers, and others who don’t yet speak English. I walked with Vicente and it was a great experience. He was very bold as he invited people to come to the English class. I enjoyed ministering in the city with him. Another cool connection with Vicente and his wife, Billy is that they have some friends in Rosarito. You might remember that Rosarito is where Leo and Gloria Nevarez work on the new church plant. Vicente and Billy were so excited when they learned about the new church, because they are concerned for the welfare of their friends. When a group of us went down to Rosarito last week we tried to call Vicente and Billy’s friends, but we weren’t able to get in touch with them. 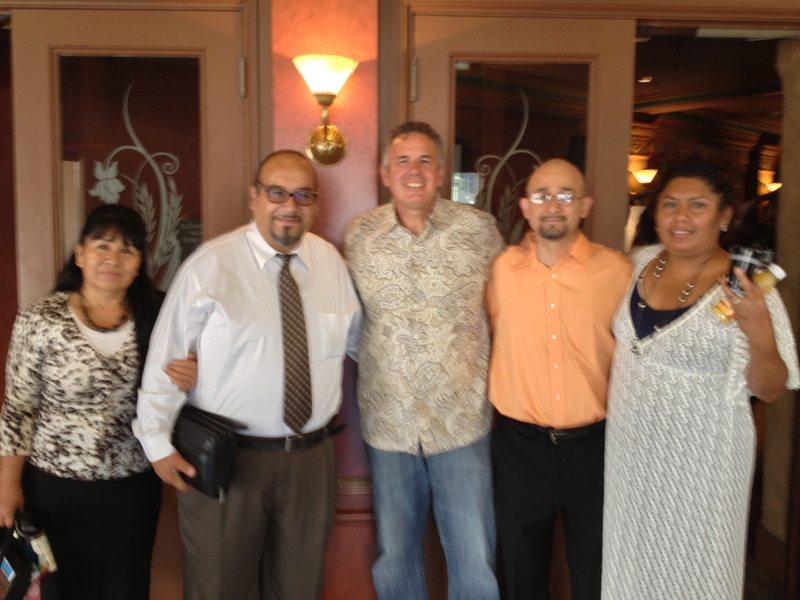 This past Sunday at church Pastor Leo and Gloria came and I was able to introduce them to Vicente and Billy. They were able to explain to pastor Leo where their friends lived, and they also made sure that he had the right phone number. It will be interesting to see how the Lord works through these relationships. Please pray for me as I attempt to build more bridges across the border this Thursday. I will be preaching in the mother church in Tijuana of “Lo Mejor Del Trigo.” It’s been a while since I preached or taught in Spanish. Pray with me that the Lord speak through me, and use us to love on and minister to the people of Tijuana. I appreciate the prayers. Thanks so much! Praying with you as you preach and also for all the connections you are helping make! The Lord is opening doors and blessing – thanks so much for your prayers! Bridge builders has a positive connotation with all the division that goes on at the border. Thanks for praying! Your ministry is so crucial. Sharing the good news–the most important task that we have as His witnesses. Keep up the persistent work. Thanks for your encouragement! I pray The Lord encourages and strengthens you today. May God bless you abundantly as you preach the gospel and the kingdom of God. Thanks so much – we pray for his guidance and leading as the gospel goes forth.